What makes McGard lug nuts better? McGard Tough Nuts are designed to last for life. No chipping, peeling or rusting. Guaranteed to keep on shining for years. 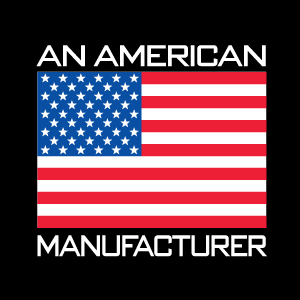 Our Tough Nuts are manufactured in the U.S.A. to meet the highest O.E.M. standards for safety and durability. They’re triple-nickel chrome plated for lasting beauty by our experienced staff using our own in-house plating technology. Every one is backed by a written lifetime guarantee. Compare our features and performance to our competition’s product, or just ask our customers. You’ll see why more people choose McGard. In addition to the thread size and part number, we roll mark our name into the surface of every Tough Nut. This is your assurance that you are getting McGard quality and safety. Every lug nut is through-hardened and tempered, reaching the depth of hardness needed for its unsurpassed level of safety (unlike case hardening which is only a surface treatment). McGard’s standard for concentricity of the bearing surface to the pitch diameter is 30% more precise than OEM standards. This insures even distribution of the clamp load and uniform seating of the lug nut to the wheel. We use only restricted chemistry steel for our fully machined lug nuts. This steel is made specifically for McGard. Our special standards insure the structural integrity of each and every McGard lug nut.